A recent analysis, however, reveals that retailers and brands are failing to retain their customers. As a result of the ever-growing opportunities in FMCG, shoppers today are being inundated by a myriad of channels to purchase their groceries – this includes traditional wet markets, mom-and-pop corner stores, minimarkets, hypermarkets or even online grocery websites. The analysis conducted and obtained was leveraging the capabilities of Snapcart mobile app, an app that has been referred to by investors and the media as the true “Actionable Big Data platform”. Why? 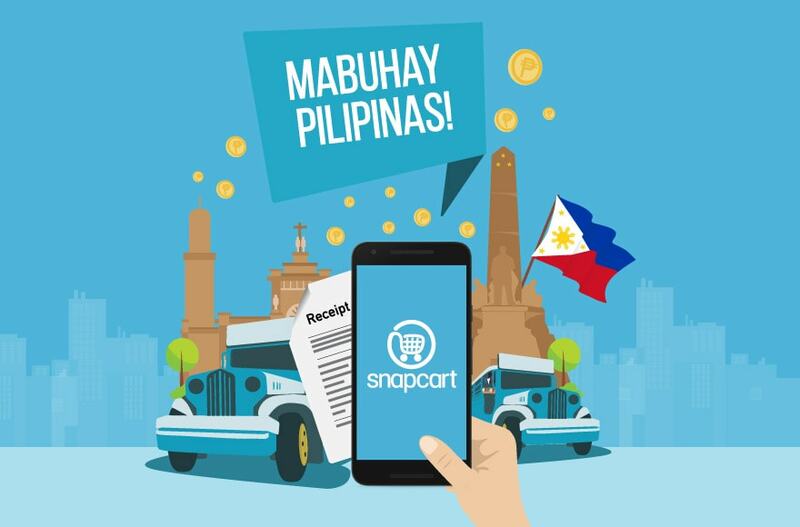 Snapcart understands Indonesian purchasing behaviour close to real time, using receipt data uploaded on the app as an image (the incentive being cashback and rebates). It is the only platform that provides insights from a shopper-centric point of view and at the same time able to leverage those insights into actions and influence shoppers to the benefits of the brands. Analyzing more than 150,000 shoppers and over a million receipts across the archipelago reveals that shoppers in Indonesia are purchasing in multiple chains. This trend is more than obvious, it’s becoming arguable whether loyalty still exists or if it’s becoming a thing of the past. An impressive 68% of shoppers purchase their groceries at two or more stores, leaving only 32% of surveyed users loyal to a single chain. To understand this phenomenon deeper, we have identified several key reasons which we’ll share below. 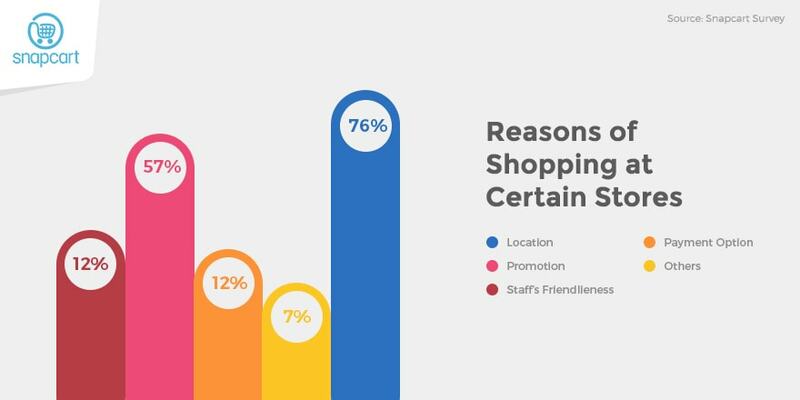 When shoppers decide where to shop, the surveyed users said that ease of locations of the stores they shop from plays a main role to their shopping decision. This comes to no surprise, as our hypothesis is that poor infrastructure in cities like Jakarta, crowned as the worst city in the world for traffic jams, leaves shoppers with no choice than to be practical and to prioritize convenience. For example, if a shopper is at home, he/she might opt to shop at a minimarket that’s close to her home. On the contrary, if the same shopper is at his/her office, shopping at a supermarket located in the same mall as her office serves to be a more convenient of an option. Despite having an emerging middle class, Indonesian shoppers are still very price sensitive. 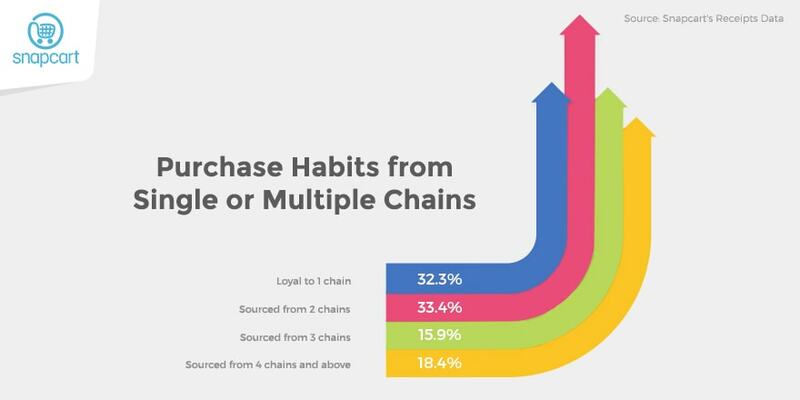 The second reason why the surveyed users shop at certain chains is because they are continuously being offered promotions and discounts. Varying degree of discounts and different forms of promotions drive the urge for shoppers to experiment on different channels compared to previous years. 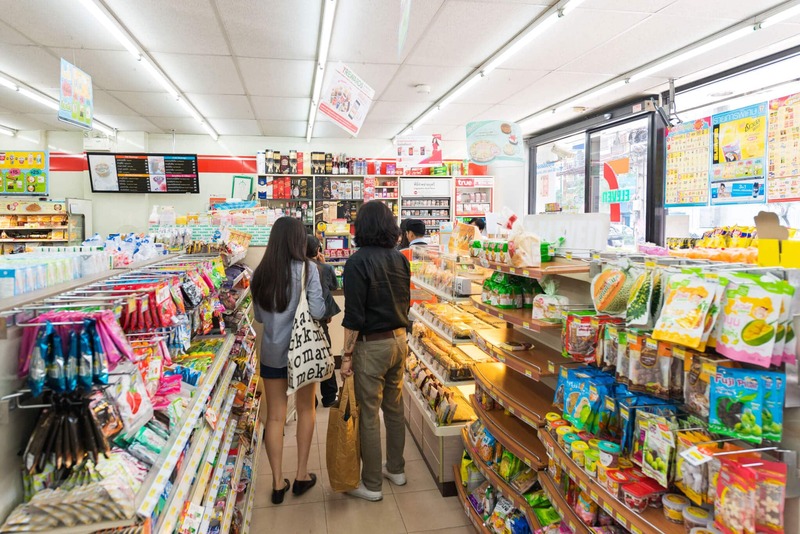 Minimarkets—widely available across the island nation—have a higher customer retention rate than other channels such as super- and hypermarkets. Grouping different chains into channels, clearly demonstrates how minimarkets reign compared to other channels. 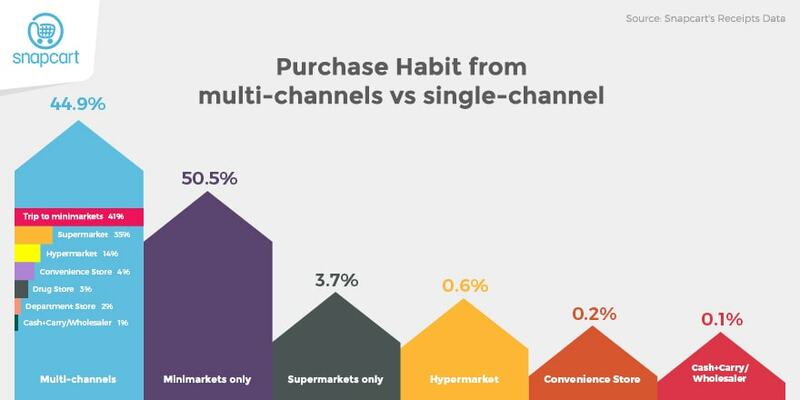 Within the 44.9% of shoppers who shop through multi-channels, almost half (47%) comes solely from the minimarkets’ contributions of total trips. Meanwhile, in regards to those who shop from a single channel, half of the total shoppers (50.5%) are sourcing their products from minimarkets only. The ease of access for shoppers also affects the frequency of purchase from different channels. 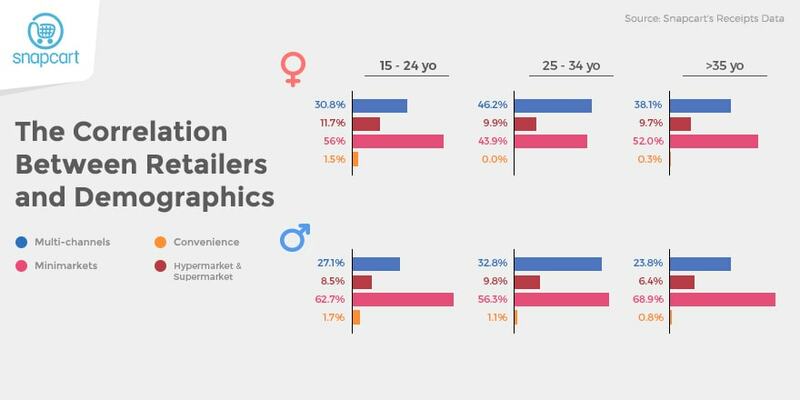 54% of surveyed users shopped at a minimarket at least three times in any given month, whereas only 20% and 11% do so at their choices of retail formats. When it comes to the most popular minimarkets, Alfamart and Indomaret prevail with 37% and 32% of visits within the last 3 months, respectively. From a geographical perspective, we discover that for shoppers on the island of Java, convenience is the number one reason why they multisource, with 33% of surveyed users vs. 31% for non-Java shoppers. This is not surprising because Java also has the highest concentration of minimarkets such as Alfamart and Indomaret stores. Based on our survey data, Java shoppers are more inclined to multisource towards minimarkets (63%) vs. non-Java shoppers (55%). Women between 25 to 34 years old are the pickiest shoppers with 46.2% preferring to source from multi-channels to get all their groceries. While men within the age group over 35 years old are considered to be most loyal (or perhaps straightforward) when it comes to shopping with only 23.8% prefer to multisource. 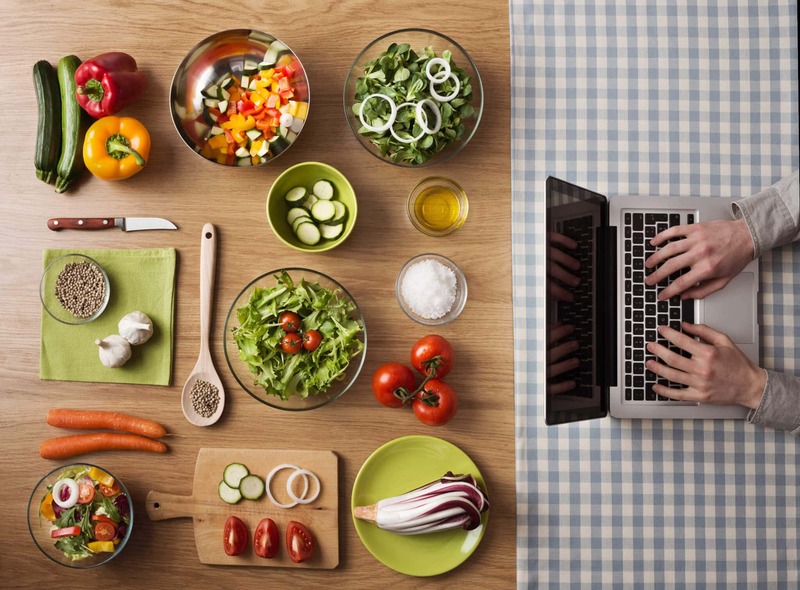 On-demand, online grocery shopping is the future. But not in Indonesia (yet). Online grocery retailers have been touted in the media as the next big thing, with companies such as Alfacart, Happy Fresh, and Honestbee raising millions of dollars to tackle the on-demand, online grocery space. However, our data shows the vast majority of shoppers still prefer to shop offline, with only 37% of shoppers prefer to do their grocery shopping online. Pure-play, online-only grocers like HappyFresh, Bilna, and Honestbee only account for 4% of online shoppers surveyed. When shoppers do buy online, they prefer Alfacart (10%) and Klik Indomaret (9%). It’s clear that omni-channel retailers have an advantage, especially from a branding perspective. Regardless of online or offline, convenience is still king with 36% of our surveyed shoppers mentioning ease of access as their number one reason to shop somewhere. For online, the same rules apply. According to a study published on Forbes, “online grocery shopping today is tapping into pure convenience drivers,” with 39% and 36% of respondents buying groceries online to save time and money, respectively. Hence, tapping into this particular segment of ‘these convenience-seekers’ in a targeted manner is essential for online grocery commerce players. Membership programs struggle to retain customers. Discounts do not. Surveyed users shop at the store where they have a membership mainly because they get membership points (24% of users) as well as discounts (12%) via their membership card. 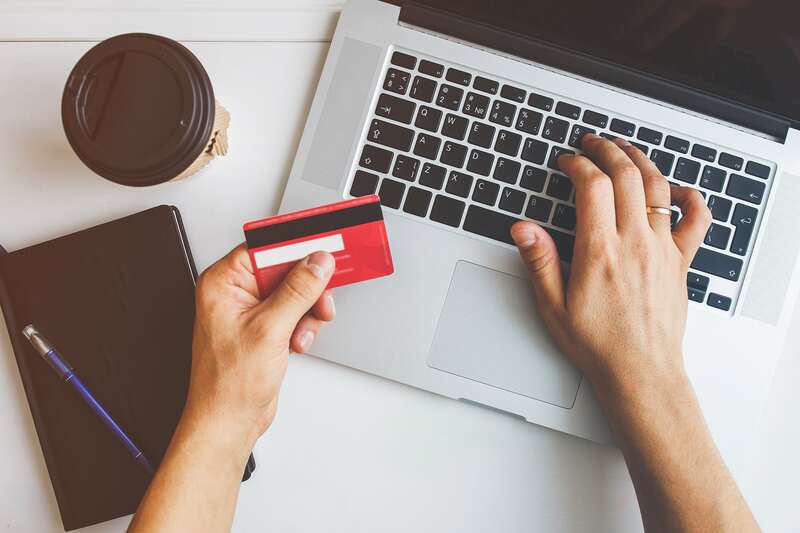 However, despite having a membership card, surveyed users are still very price-sensitive and are not loyal to a single store as 36% will shop at another store just to benefit from the promoted items. Moreover, half of the surveyed users do not even have a membership card at places they shopped in the last 3 months, as people don’t consider signing up for a membership program to be crucial. This again re-emphasizes the pragmatic aspect of Indonesian shoppers. Marketing strategies that work in the West do not work here unless they provide a tangible benefit. 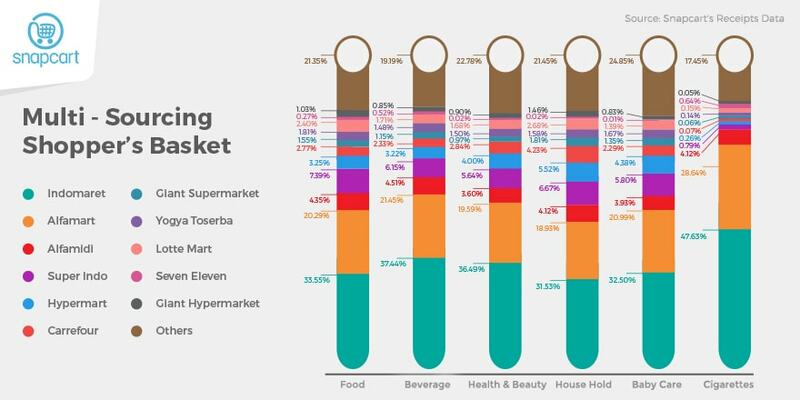 Within the multi-sourcing shoppers’ basket, minimarket dominates most categories, though super and hypermarkets have slightly bigger shares for categories like Household Care and Baby Care. This is probably due to the behaviour of purchasing the categories in bulk or buying the categories’ units in bigger sizes, which is more likely to be available at retail formats like supermarket and hypermarket. What should brands and retailers do? If both the breadth of distribution points to facilitate location based convenience and depth of promotion are critical in retaining shoppers, loyalty has become very expensive to maintain. Additionally, analyzing Indonesian shopper behavior by relying on a single retail or retail chain’s database is no longer the optimum option for brands because of the multi-sourcing behavior demonstrated by consumers in Indonesia. To understand Indonesian consumer patterns, one must analyze the multitude touch points they frequent together. In order to retain customers, brands first need to understand the shopper behavior by creating promotion and marketing plans from a shopper-centric point of view. Traditional ways of tracking offline consumer behavior is very much secluded and siloed since brands acquired data from individual retailers that lack the necessary connections between different retailers. E-commerce and online marketing have evolved to the point where brands can track customers across channels and devices (desktop, tablets, mobiles), notably called multi-channel, cross-device attribution. As a result, what is then needed is a multi-channel, multi-chain tracking for offline retail. Using the latter, brands will be able to track customer behavior across multiple offline channels, providing more actionable and real-time insights vs. traditional market research capacities. Receipts data and other shopper-centric information due to in-app surveys are providing traditional, omni-channel, and pure-play grocery retailers with unprecedented laser-focus on the Indonesian customer segments they wish to target. 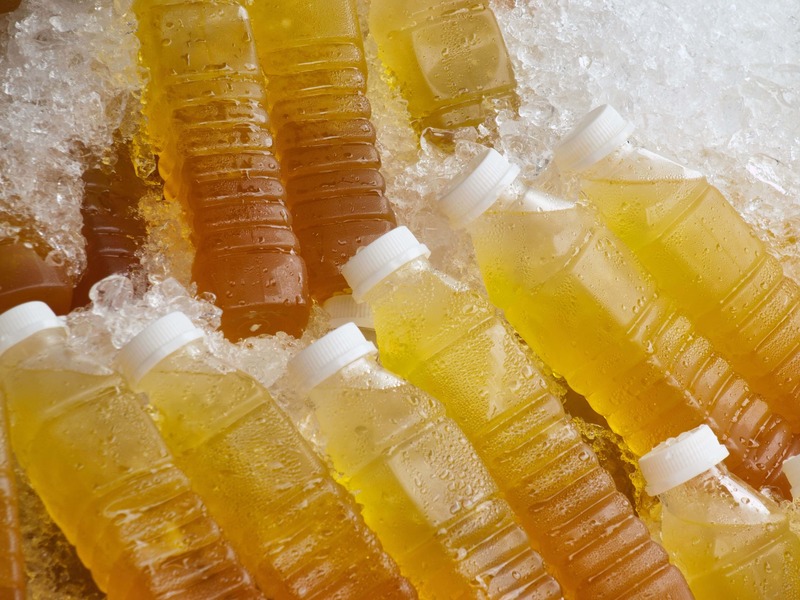 An example of its application may be seen with a pure-play online grocer like HappyFresh or Honestbee. 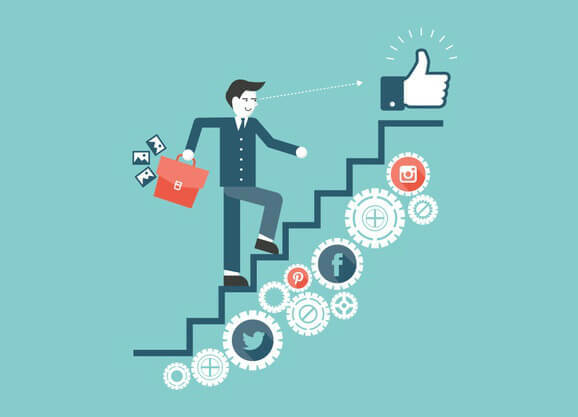 It would be invaluable to gain preliminary insights on where to find their upscale audience and target them with personalized messaging. Moreover, traditional retailers will be able to target customers who are doing their offline grocery shopping at the right time and place – if real-time, location-based big data available to be utilized. These capabilities are now accessible, which make a potentially higher ROI customer acquisition source than before. Insights and data are powered by Snapcart, the real time, multi-channel, big data analytics and engagement platform. Based on receipt data collected between September – November 2016 and user survey (more than 4000 respondents) which held on end of Dec 2016.